The unsung heroes of many a delicious dish are it’s sides. 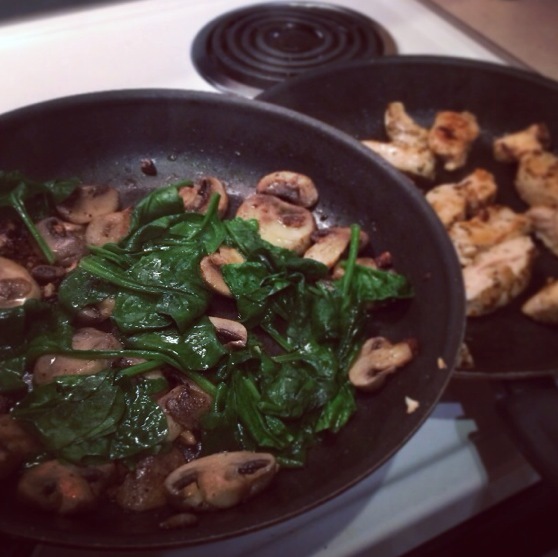 Here’s one of my favorite, healthy, paleo, gluten-free sides: (Garlic) Sauteed Spinach and Mushrooms. It only takes about 10 minutes to make and goes great with chicken! 1. Heat olive oil in a medium/large skillet over medium heat. 2. Add mushrooms to oil and cook for approximately 5 minutes. 3. 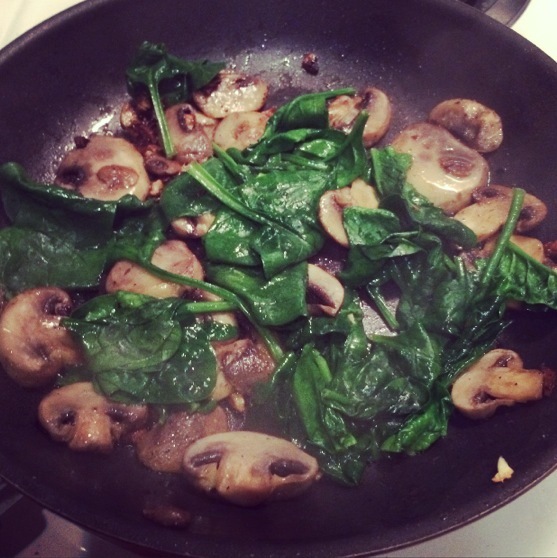 Add minced garlic, salt and fresh pepper to the mushrooms and let cook for two minutes before adding the spinach. 4. Add spinach and sauté, stirring until wilted.